Luckyfinds: Posh Nails Lemongrass-Ginger Treatment plus a Giveaway! Posh Nails Lemongrass-Ginger Treatment plus a Giveaway! While there is no way to beat the scorching heat of the sun, there is no stopping us from feeling fresh this summer. Head off to Posh Nails to get rid of the heat stress that tend to weigh you down. Its latest treatment designed to pamper those hands and feet with the benefits of lemongrass and ginger. Ginger and lemongrass are two powerful herbs coupled with many health benefits. Lemon Grass is a known for its highly-aromatic citrus flavor. Lemon Grass oil (citronella) is widely used in aromatherapy as it is believed to have a calming effect. Aside from its germicidal qualities, its soothing oils are used to minimize pores and to moisturize dry skin. The invogorating Ginger on the other hand, contains anti-oxidants that improve elasticity for firmer, younger-looking skin. Combined with lemongrass, Posh Nails' new pampering package is the perfect way to relax at the end of a long day! We were privileged to try it out at the newly-opened SM Mall of Asia branch. Pampering starts with a foot soak in warm water. The attending staff applied the paraben-free Lemongrass Ginger Sugar Scrub and moves on to exfoliate rough skin and remove calluses. After the gentle foot scrub, She rinses my feet and legs, dries them with a cotton towel and applies the super-hydrating Lemongrass Ginger Moisture Mask, which is rich in anti-oxidants and skin regenerating ingredients to soften, rejuvenate, and brighten skin to a glowing and youthful appearance while repairing skin damage. It smelled so good! Next, she trims, shapes and buffs my nails. She applies a base coat, my chosen China Glaze 1202 polish plus a top coat to complete the pedicure. I had the same invigorating treatment for my manicure. Their treatments are designed to stimulate the senses through gentle care that leaves with intense hydration that lasts for hours. 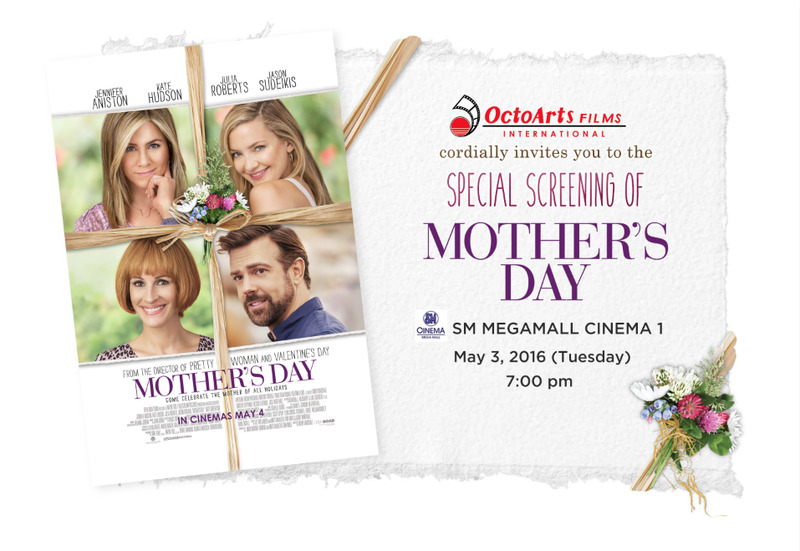 Now, since Mother's Day is coming up, loyal followers of Lucky Finds get a chance to win Posh Nails special Lemongrass Ginger pampering packages for 2 and movie premiere tickets of Mother’s Day comedy movie starring Julia Roberts, Jennifer Aniston and Kate Hudson on May 3, at the SM Mega Mall! There will be 2 winners of movie tickets with 2 tickets each! 3. Follow LuckyFinds on Goggle Friend Connect and Twitter. Join now @Friend1 @Friend2 and make Mother's Day memorable @millette05"
5. Comment below why you deserve to win. Don’t forget to leave your GFC name, FB name, twitter ID, Instagram plus twitter url. - Poshnails pampering treatments for 2 pax may be redeemed at any branch nationwide upon presentation of the gift certificate from the main office. Services maybe availed up to May 16, 2016 only. There will be a total of 2 winners and this giveaway ends on April 30, 2016 at 12MN. Winners will be announced on this blog and on Lucky Finds facebook page. Winners must contact me within 48 hours for claiming instructions. Goodluck! Congratulations to Jeda Gonzales and Cie Cisneros for winning this giveaway!br Please give me your email and claiming option. Keep those entries coming. Giveaway ends on April 30th. Thank you for joining. This giveaway is now closed. I will validate each entry against the mandatory steps. Watch out for the announcement of winning entries soon.